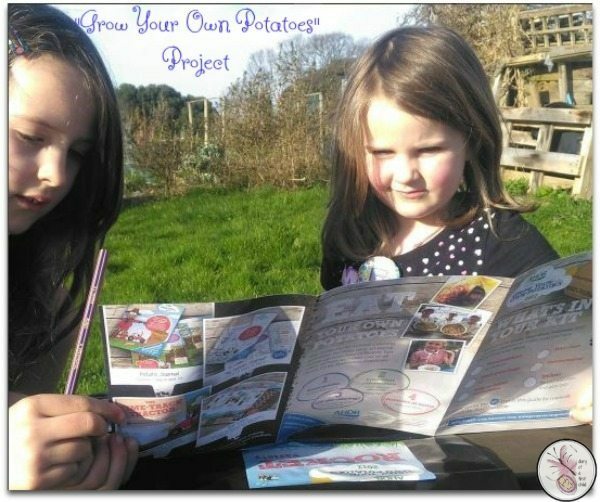 Here we are, reading through the potato information, putting key dates in our calendar. By this point we’d done the chitting (setting them out to start growing eyes) and were ready to put them in their accompanying bags in the ground. You normally receive two varieties of potato – a regional and a nation. In our case, regional is Rudolph (on the left) and national is Rocket (on the right). Can you see the purple tuber versus the white/yellow/purple. The one produces purple potatoes, the other white. So exciting. For the first while, all we had to do was ‘soil up’ the potatoes. Every now and then you look in the bag, and the green leaves have peaked through the top. 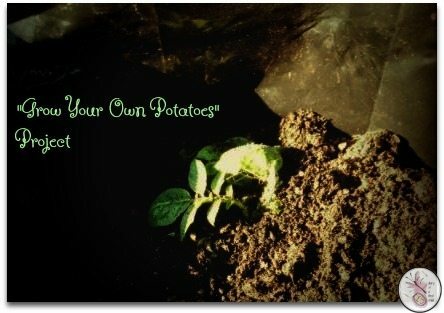 Cover it with soil and wait a few days. Cover with soil, wait a few days, and repeat, and repeat. Before you know it… you’ve reached the top of the bag. 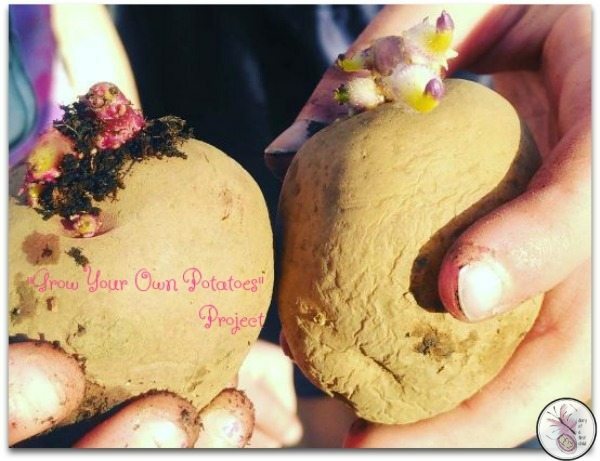 The idea with the soiling up, or earthing up as it’s sometimes called, is that it prevents new tubers from growing and turning green and poisonous. 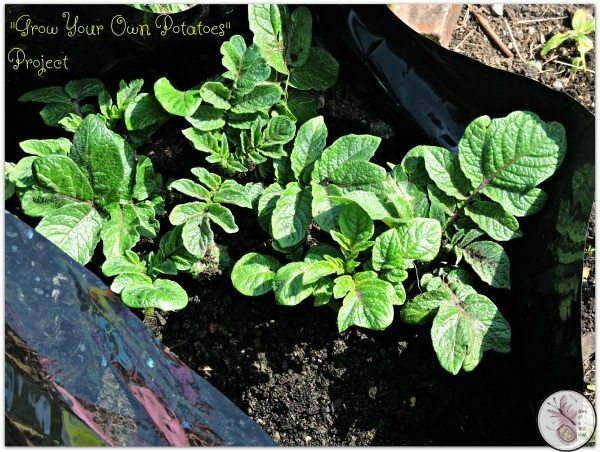 Also many times more potatoes will form from the buried stems, so you get layers of potatoes in your bag. We were supposed to dig our potatoes out about 3 weeks ago, but a variety of things kept us from the allotment, so we weren’t able to. We did pull the plants out though, and hoped for the best with the potatoes kept in the soil! And here’s what ‘the best’ produced: 49 Rocket potatoes of a huge variety of sizes and 34 of the purple Rudolph. Rudolph produced many more large ones than Rocket did, however. 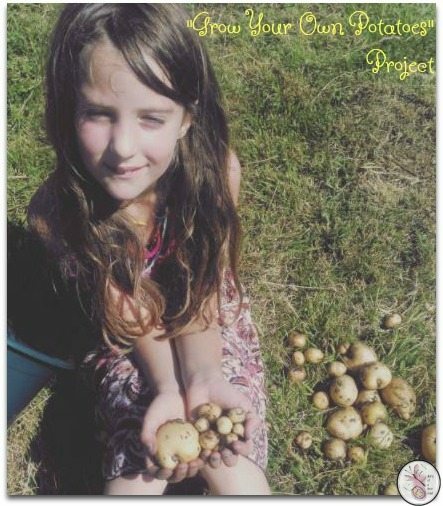 Ameli(7): I loved using my hands to dig through the soil looking for potatoes. I found it really exciting every time I discovered a new potato, but the first one made me feel joyful. It was really interesting starting out with a few potatoes and ending up with a tub full. The biggest potato was the size of my palm, and the smallest one was half the size of my littlest finger nail. Aviya (5) : I loved that my potatoes were pink. I loved watching them grow and soiling them up. I was very proud of my potato plant for growing so big. 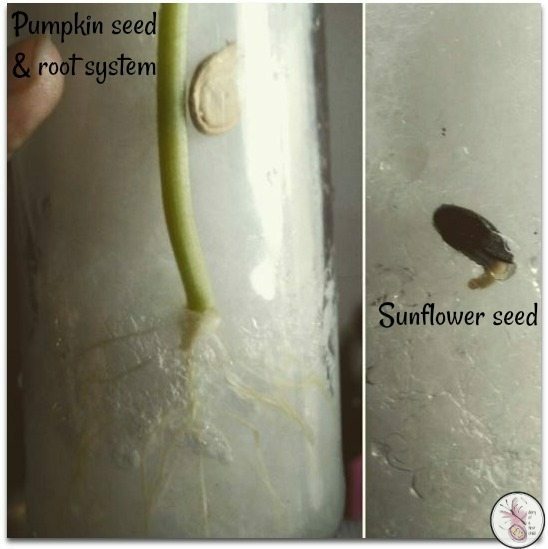 *Here’s the pumpkin and sunflower root systems that we were studying. It does look pretty cool! 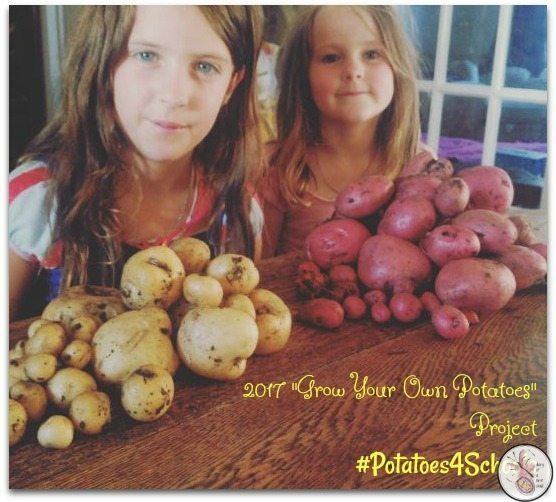 Registrations are now open for the Grow Your Own project for 2018. The project is available to anyone teaching to the National KS1 or KS2 Curriculum, including home educators, though they do run out some years so get your registration in early! Thanks Susan! Yes, it is always a great experience, and the kids particularly love digging through the dirt finding them!